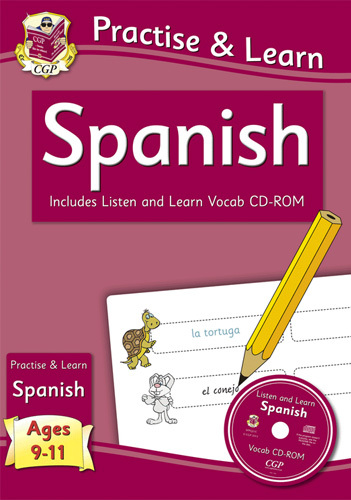 Packed with fun and colourful Spanish practice, this fantastic workbook & CD-ROM set is aimed at Spanish beginners, aged 9-11. 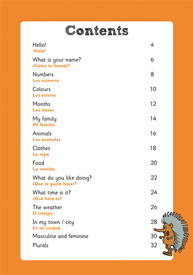 Lots of useful vocabulary is introduced, with a range of engaging question types and tips to keep children interested. 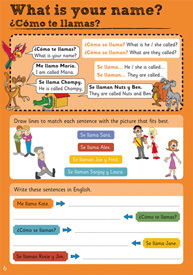 This is a full-colour workbook for children to work through and write their answers directly on the page. 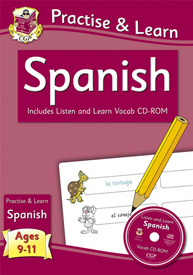 There’s also a ‘Listen and Learn’ CD-ROM of words and phrases recorded by native Spanish speakers, plus a pull-out booklet with answers to every question and useful notes for parents. It has been aimed at upper Key Stage 2 children (ages 9 - 11) and can be used at home or in the classroom but please note that this is not licensed for photocopying and each child should have their own book to work through.